We had the pleasure of speaking at length with Ron Ben-Israel, the chef and owner of one of the country’s finest couture cake studios (and also a member of AllSeated’s Advisory Board), all about customized wedding cakes. 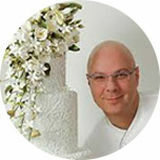 Ron has served as both host and judge of Food Network’s Sweet Genius, and he is a judge on the series Cake Wars. He has also has appeared as a guest and judge on a variety of Food Network shows, including Chopped and Worst Cooks in America. 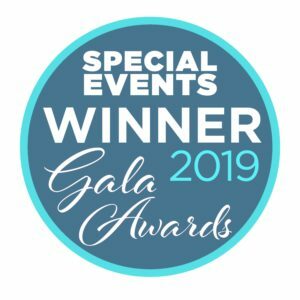 In addition to being on Food Network, Ron and his work have appeared on numerous television shows, including The Oprah Winfrey Show, Bravo’s Top Chef: Just Desserts and The Late Show with David Letterman (CBS). Read more about Ron here. 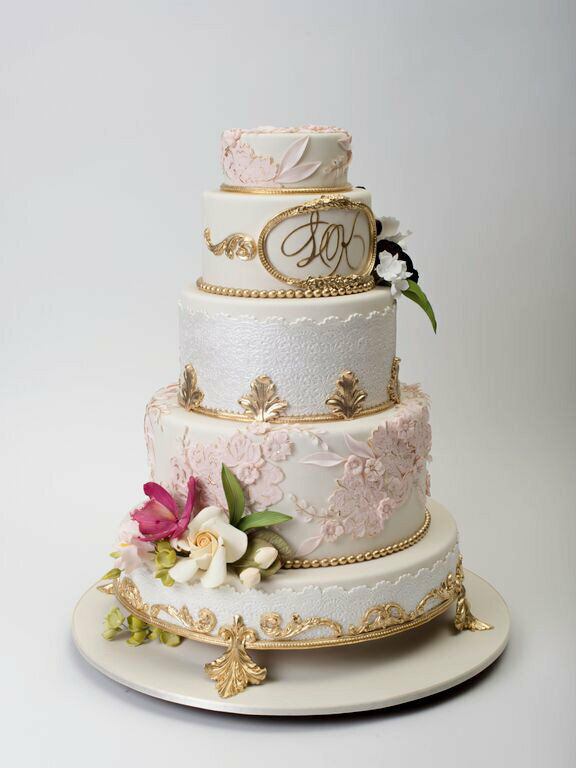 Selecting the right wedding cake is as important to a bride as finding her perfect wedding gown. With Ron Ben-Israel’s guidance, we hope to make your wedding cake selection process that much easier and of course, as tasty as possible! How do you feel about the rise in social media in terms of how it may affect wedding planning and the wedding cake selection process? 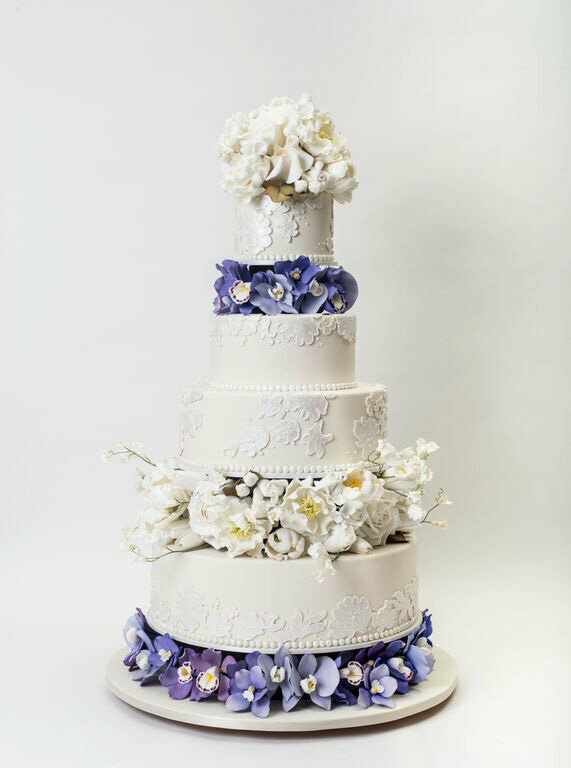 Millenium brides have access to a multitude of wedding cake ideas and inspiration with the use of social media. Brides today are very tech-savvy or at the very least, think they are tech-savvy. They know how to use their fingertips on the keys to conduct wedding searches but do they really know what they are searching for? Pinterest is terrific for wedding inspiration and we love instagram but these sites can actually do a disservice to brides if consulted too often because they are surrounding themselves with so many ideas which may take the place of creating their own unique vision. Quite often a bride will come to us from one of the photos we have shared on social media. While this is flattering and the photos of the wedding cakes are certainly tempting, more often than not those cakes have no relationship to your event because it was not custom designed for you. 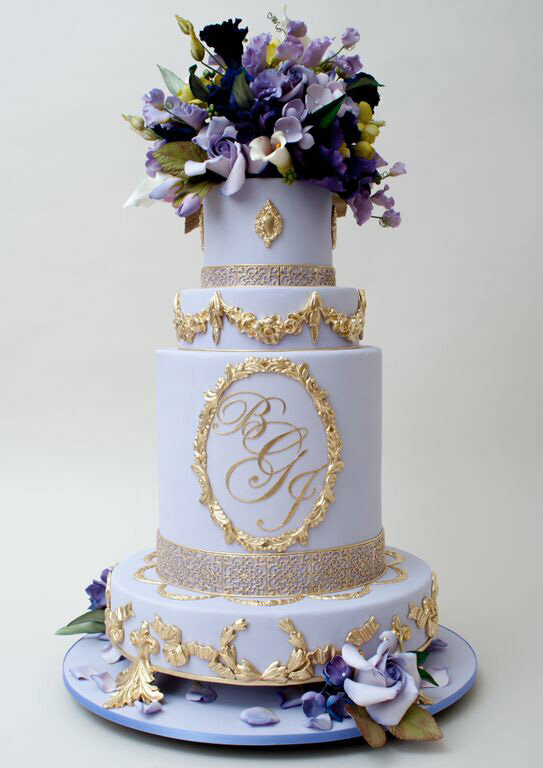 At RBI Cakes, we want to create a custom wedding cake inspired by you and your fiance. We want to learn everything there is to know about you and the wedding including but not limited to the location, your dress and the flowers. Do you offer cake tastings? Do you feel that all brides should attend a cake tasting prior to finalizing her wedding cake? Very rarely do we send out a cake without providing the cake taste testing experience. We really want to spend time getting to know our clients so that we may engage and work with them on creating the best custom cake for their wedding. We schedule a one hour consultation (free of charge) and present a variety of cakes consisting of a spectrum of flavors, textures and frostings so that our clients can experience the many options, mixing and matching with our guidance, to create the perfect custom cake. We want clients to enjoy their experience while we help them through the cake selection process in order to find the most perfect fit for their wedding. 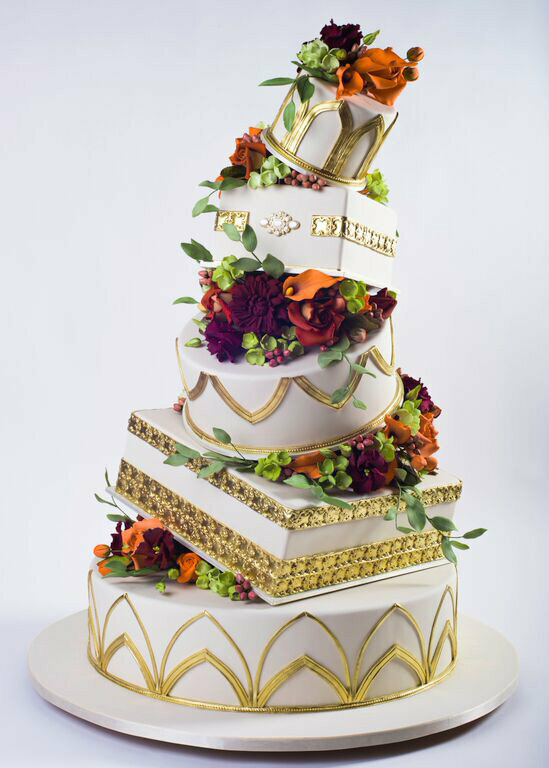 Do you have some tips to offer in regards to selecting the right custom wedding cake designer? Many venues will include a wedding cake in your package which is a wonderful idea but will you get the cake you are looking for? If you wish to bring in a customized cake yet your venue is already offering you a cake in your price, it is still possible to get what you want by speaking to your venue about it. They may be able to negotiate with you and offer you a credit for the portion of money that would have been spent on procuring your cake. When selecting your custom cake designer, we recommend that you get at least three referrals recommending the same cake maker so that you know the company is reliable. We do not recommend using the internet as your recommendations because how do you know that your web search results are reliable? Referrals from other vendors are your best resource! If you trust a photographer, ask him which cake he enjoys the most at the end of a wedding. 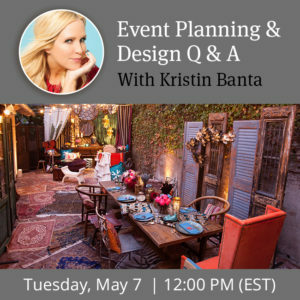 Consult with your florist, ask your event planner, seek out advice from your rental company. 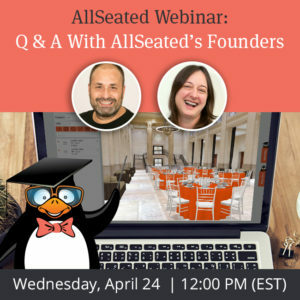 They are extremely knowledgable and well-versed on this topic since they work with a multitude of vendors on a regular basis. Once you have a cake designer in mind, make sure that they are are licensed and insured. Every venue wants to see and usually requires a vendor license. It may be risky to use a cake made from a home kitchen , despite the talent that baker possesses. Remember that the cake would be served to a large number of guests, and you don’t want to put any of them in harm, let alone open yourself to liability. How do you handle food allergies, food sensitivies and dietary requirements? With the rise in food allergies and sensitivities as well as an increased focus on overall health and wellness, we do offer our clients gluten-free and nut-free options. Since we are fully supervised by a rabbinical authority, we can provide Kosher, non-dairy cakes as well. Unfortunately, we cannot make sugar-free cakes as the decorations and frostings are made mainly of sugar; but we have done egg-free cakes when necessary. It’s always best to be mindful of the other members of your party. If someone does indeed have nut allergies, it is the responsbility of the host to provide an alternative dessert to accommodate their needs while still offering traditional desserts for the rest of the party. While you can’t always accommodate every guest, you can do your best to provide various options to meet as many needs as possible. And on a similar note, it’s okay and acceptable to keep things a surprise rather than divulge every detail and menu item prior to the wedding! Keeping some information under wraps not only adds more excitement to your affair but also avoids the opinions coming in from every angle that may hinder your planning process.